Don’t be shocked if Paramount Pictures pushes back the release of The King’s Daughter (originally entitled The Moon And The Sun) indefinitely. It was supposed to be released in 2015 but has yet to receive a release date, a movie poster, a trailer or an official website. 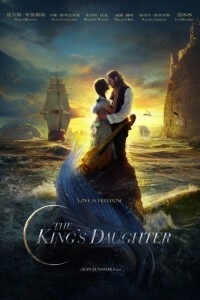 In the movie The Moon And The Sun, King Louis XIV’s quest for immortality leads him to capture and steal a mermaid’s life force, a move that is further complicated by his illegitimate daughter’s discovery of the creature. Pierce Brosnan plays King Louis XIV.